One of the dearest people I know, my friend Christy Lamagna, has been featured in an American Express commercial. She tells the story of how Amex came to the rescue in her time of need. Of course she does so in her own inimitable way, which is as interesting and entertaining as it is educational. It is no coincidence that American Express decided to team up with Christy for their piece. This perfect partnership depicts just how the most professional and savvy entrepreneurs make things happen without missing a beat. Christy absolutely exemplifies everything American Express represents; integrity, professionalism, dependability, and the drive to get the job done, the right way, every time! Hats off to Christy for being one of the chosen few and kudos to Amex for recognizing how brightly their star can shine together. Please go to the link below to see my friend’s commercial and I implore you to take a moment to click on the little “Youtube” icon on the bottom right, to comment about the fine job she does representing American Express. Your input could be what it takes to get her spot from “online” to television! As always, thanks so much for your kind support. February 13th is honestly and truly; National Tortellini Day. This little round stuffed pasta (and tasty delight) was brought to us via Bologna, Italy. I share this information with you a day early, just in case anyone out there wants to run out and purchase a pound or so, in celebration of the big day tomorrow. There is actually a legend behind the popular pasta, albeit a creepy one. The story goes that Venus (Goddess of love for those who may not know) was for some reason or another visiting Northern Italy. Depending upon who is telling the story, she is either alone or with a companion, but all agree that she stayed overnight at a little inn. The innkeeper at some point in the evening took it upon himself to peer through the keyhole of the goddess’s room and as it turns out, the only thing visible to the Peeping Tom was her belly button. Still, he became so enamored by the glorious sight; he was inspired to design a pasta in its likeness to pay homage to the Goddess. Don’t believe me? Well every year the town of Castlefranco Emilia does a re-enactment of the tale to celebrate the pasta and the legend. 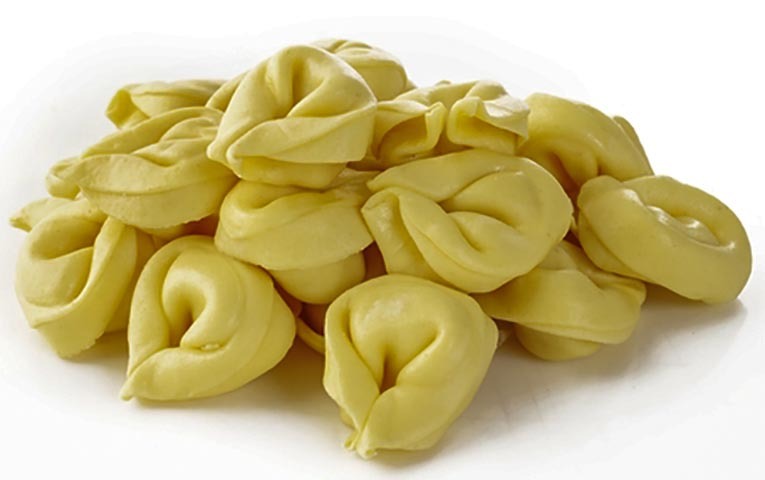 Here in the states, we have tortellini available either in the freezer section of our markets, fresh (or what is called fresh anyway) in the dairy aisle, or if you’re feeling all DYI about it, you can craft the stuffed noodle yourself – but it is a bit labor intensive. We like to use it in everything from, appetizers to main-dishes, to soups! I suppose that it is only fitting that this special pasta, made to honor love, should be served on the eve of Valentine’s Day, the most romantic day of the year! So whether you have yours in a broth with a sprinkle of hard cheese (like they do in Italy), covered in your favorite sauce, or baked Parmesan style, I hope that you too find a way to celebrate the cheese stuffed dumpling with the nifty story behind it. Until next time, happy Tortellini Day one-and-all! 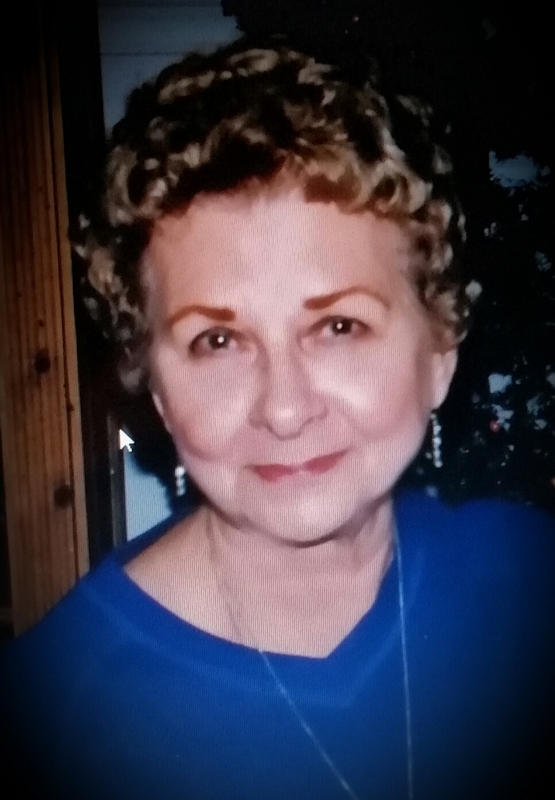 Ten days ago, (January 25th 2015) one of the most treasured people in my life, my Aunt Eunice, mom’s sister, left this world to be reunited with her great love, Uncle Mort and my mother. I believe that they are tripping the light fantastic, patently waiting for us to live out our mortal lives and join them in paradise. Until then I know that they’re watching over us, guiding and protecting in every way that they can. The world, or at least my part of it, will never be the same again without my dear aunt but I will be forever grateful for nearly sixty years of wonderful memories made together. I am also grateful to my cousin Sue, who spent my aunt’s last days reading her my unfinished book about my mother’s life. Aunt Eunice, of all people, is someone I so wanted to hear the story and working in his mysterious ways, God made that possible for me. I was also blessed to see Aunt Eunice in her final days, even having her wake and open her eyes… and yes, even tell me that she loved me one more time. No man can ask for more than that. Aunt Eunice may no longer be a part of my physical world but she owns a very special piece of my heart that will be her’s eternally. As a man who fumbles over his spoken words, I wrote a little something for my cousins to express what a special woman their mom was and IS to me. Not quite a short story but not a poem either, this almost “children’s story,” is how I summed up my feelings that day. I’m not sure how or why I decided upon such a format, maybe it’s because she was the last person alive that reminded me that regardless of my age, she would always be my aunt; that somewhere inside my six-foot, one-inch, 192 pound frame, she could still see her sister’s little boy. She made me feel safe and most of all, she made me feel loved. I will miss her all the days of my life. I would like to share that little story with you, not only because I want the world to know how wonderful she was, but maybe it will spark a memory inside of you about someone special in your own life. For a young boy from Williamsburg, Brooklyn, the tweed grey building with crisp white trim seemed quite charmed indeed. A house straight out of a storybook, it was my favorite place to visit. From its gabbled peaks to the rolling lawn; the house seemed as enchanted as any castle from a fable. Aunt Eunice and Uncle Mort, raised all four of their children in that house and I used to think that my cousins were the luckiest kids that ever lived! Nothing would please me more than hearing my mom utter that special phrase, “this Sunday, we’re going to see Aunt Eunice.” The week would drag on endlessly, as I anxiously awaited the big day’s arrival. At Aunt Eunice’s Magical House, there was always a pool in the yard, a vegetable garden growing, electric trains in the basement, and wood burning in the back yard grill. Aunt Eunice’s magical house had a walk-in pantry with a large farm-style kitchen, where there was always something simmering on the stove and fragrant fruit pies baking in the oven. At Aunt Eunice’s magical house there was sure to be, crispy sugar cones and mint-chocolate chip ice-cream! Inside Aunt Eunice’s magical house, Uncle Mort’s pipes could suddenly blow bubbles, we kids could roller skate in the basement, and in the winter, we’d all gather in her living room while the fireplace glowed with comforting warmth. During the holidays, Aunt Eunice’s magical house would have a grand evergreen tree, covered in colored lights, reaching up to touch the ceiling! Aunt Eunice’s Magical House was as pretty as it was comfortable; it was immaculately clean as it was sturdy. As a child, I believed Aunt Eunice’s house was the most magical place on earth. As an adult, I realized that the house was simply a house… As it turns out; it was Aunt Eunice who made the magic happen. Here’s to Eunice May Wilson-Snyder; magical beyond measure!